Spectrum Company Picnic was blessed with beautiful weather, and equally delightful employee families. 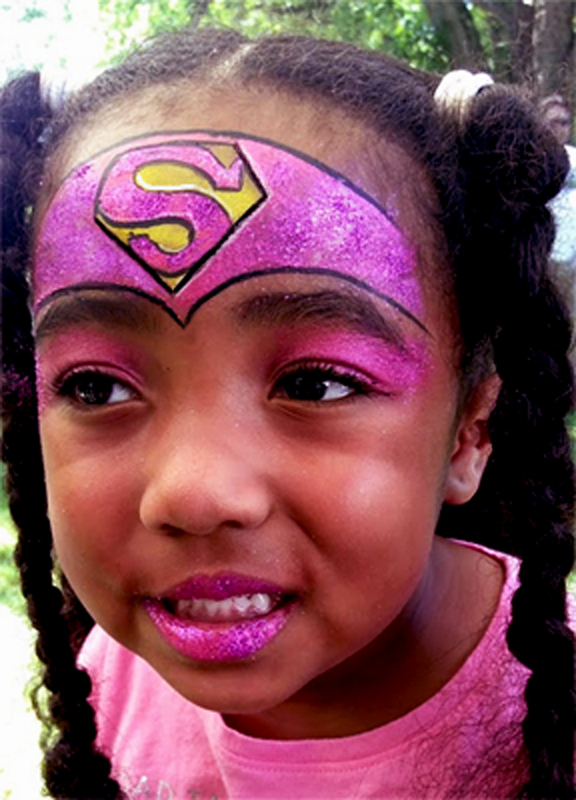 Go save the world Super Girl. 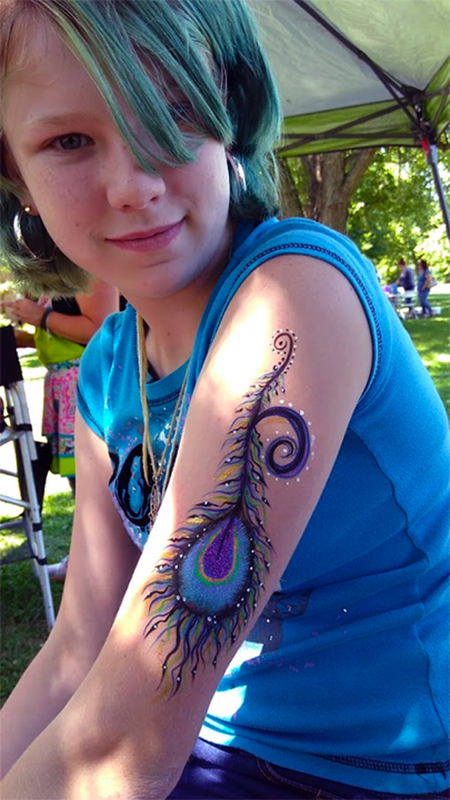 I saw her and had to paint the peacock feather on her arm. What a delightful young lady. This entry was posted in Recent Events on July 9, 2017 by Joyce.